Microsoft has introduced a new revamped Xbox.com a couple of hours ago and gamers are already going berserk responding and writing about it online. The site is not only getting a new design, there are several new social features, an avatar creator, Windows Phone 7 integration (as expected) and web games. The new social features include a unified inbox for messages, friend requests and game requests. 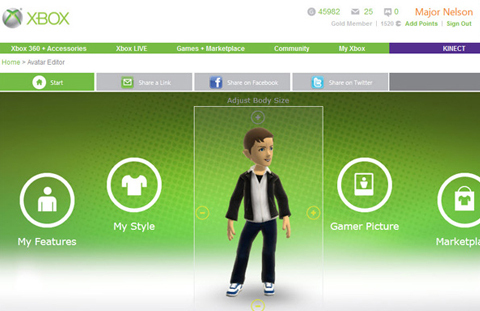 You can customise your avatar as you like and even preview with new clothing purchases online. The Marketplace search engine is also getting an upgrade with new filters and browsing options. However the most interesting upgrade is no doubt the playable web games. Users can play across platforms like Xbox, Windows Phone 7 and web users which is a first. Now the only thing gamers would want is scoring points and achievements while playing the web games. Let’s see when, if at all, Microsoft announces that good news.